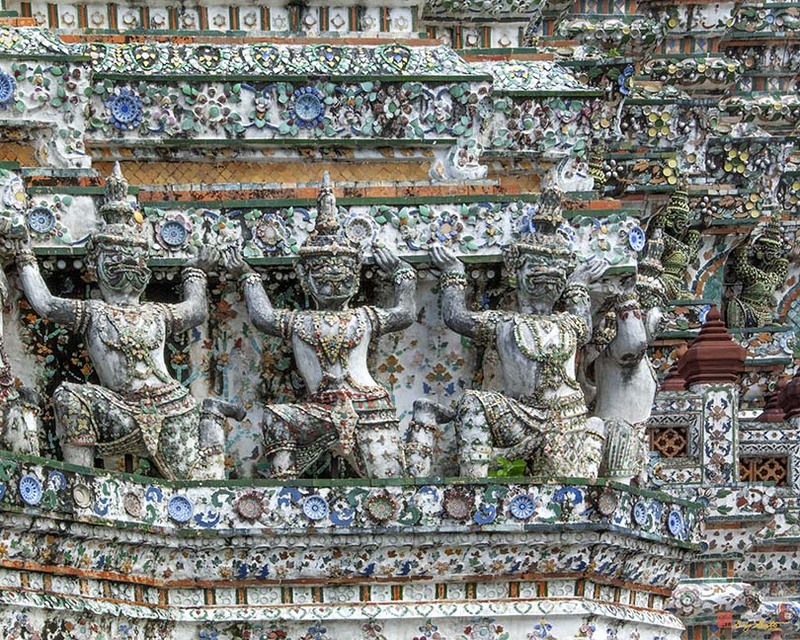 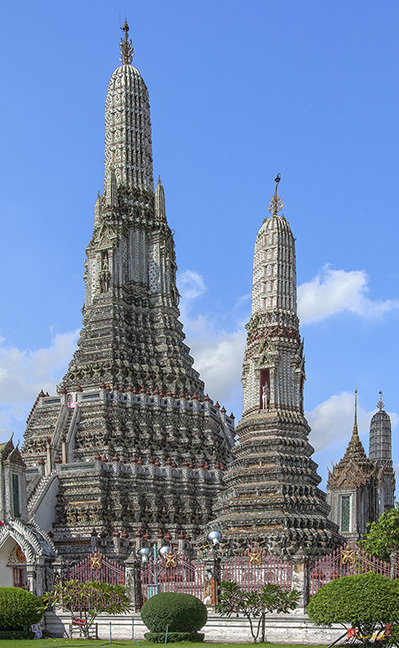 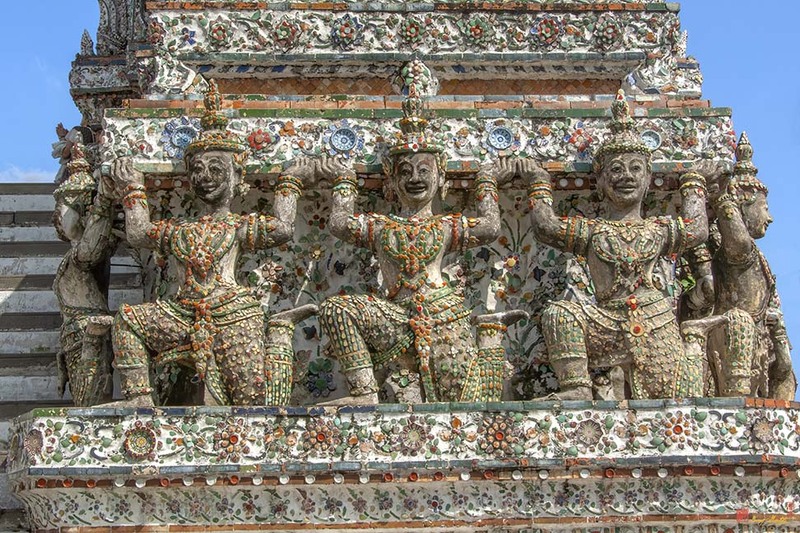 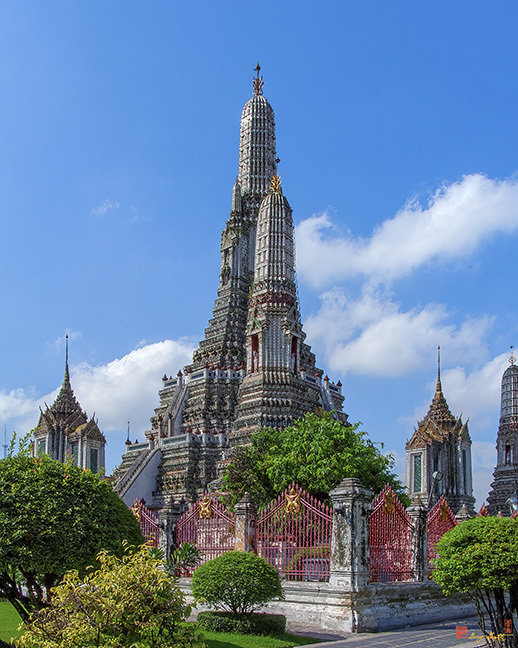 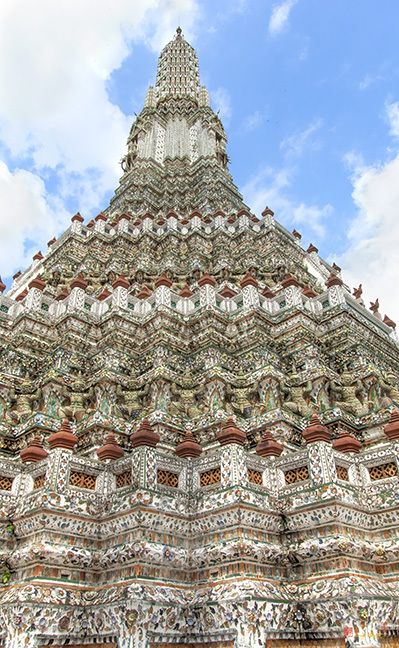 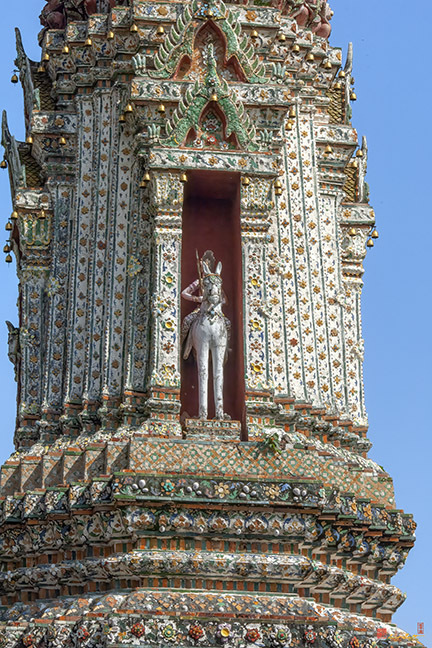 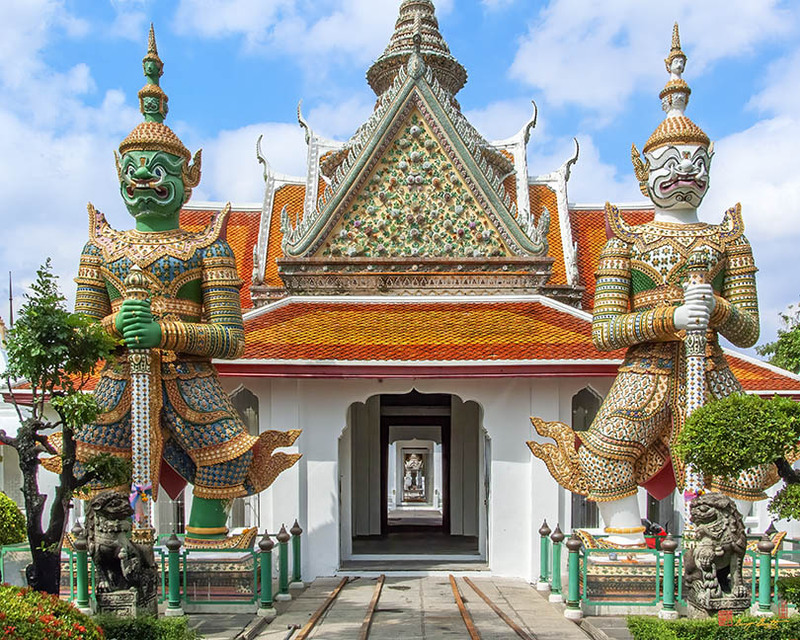 Wat Arun, วัดอรุณ, or more completely Wat Arunratchawararam Ratchaworahawihan, วัดอรุณราชวราราม ราชวรมหาวิหาร, is a first class royal temple that was built at the end of the Ayutthaya period. 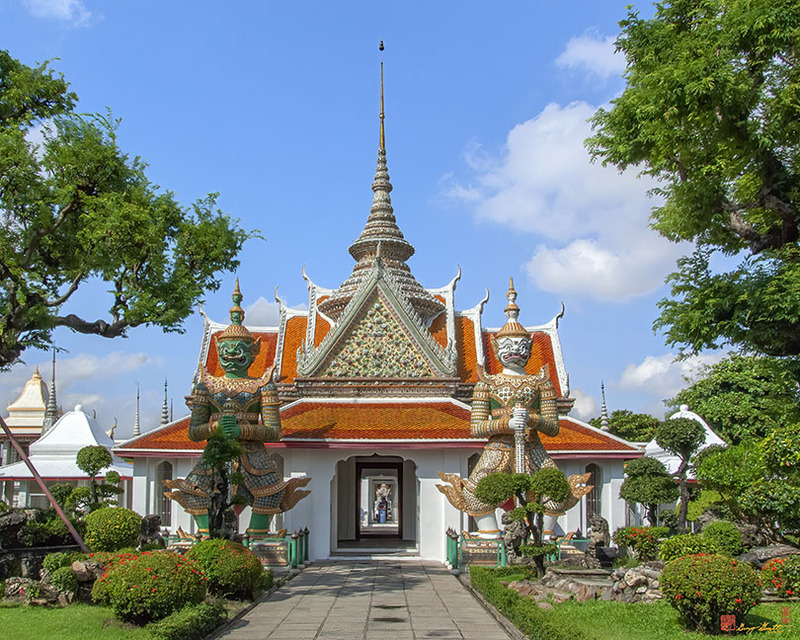 It was first called Wat Makok and then was changed to Wat Makok Nok because there was another new temple in the area called Wat Makok Nai (Wat Nualnoradit). 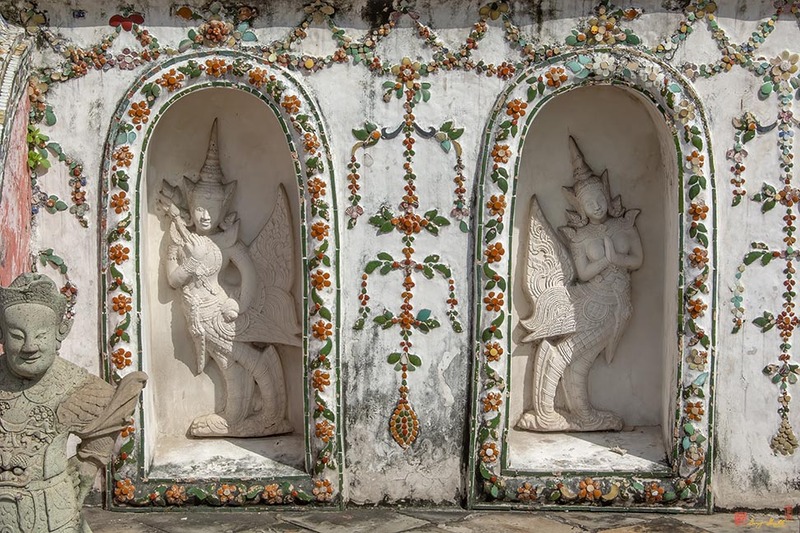 At a later date, King Narasin the Great brought in troops via the river (Chao Phyra) and reached the temple at early dawn. 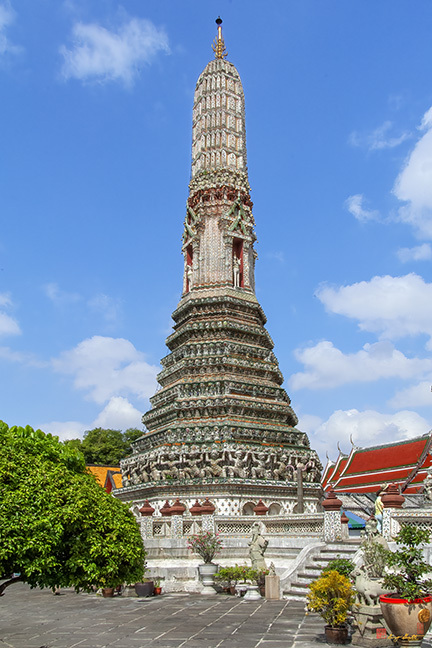 This inspired him to renovate the temple and he renamed it to Wat Chaeng, meaning the Temple of the Dawn. 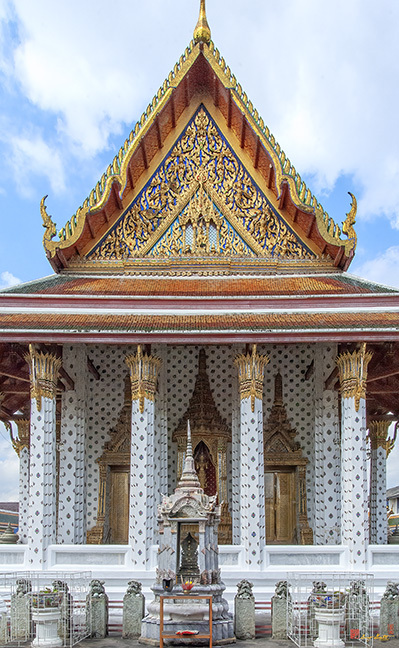 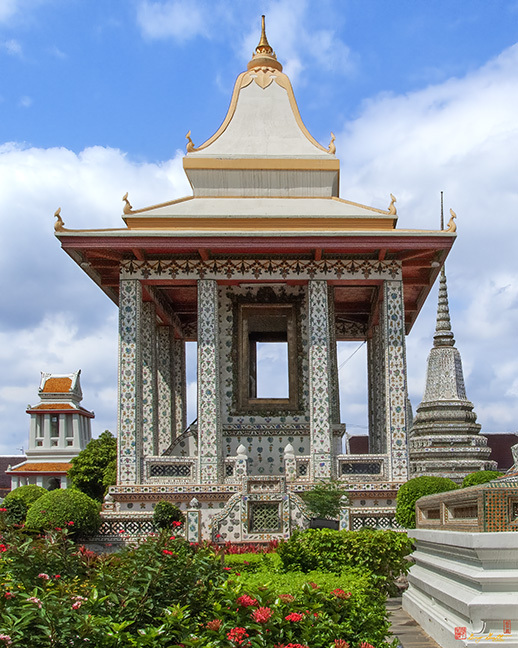 When the new capital was founded at Thonburi in 1768, the King built a new palace around the temple. 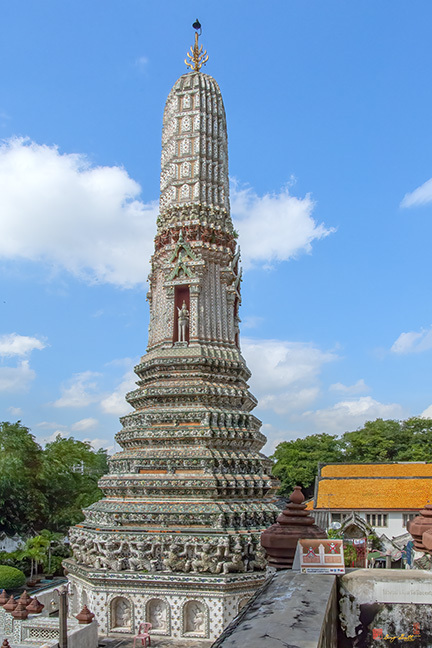 Wat Chaeng was the royal temple of Thonburi without monks in residence. 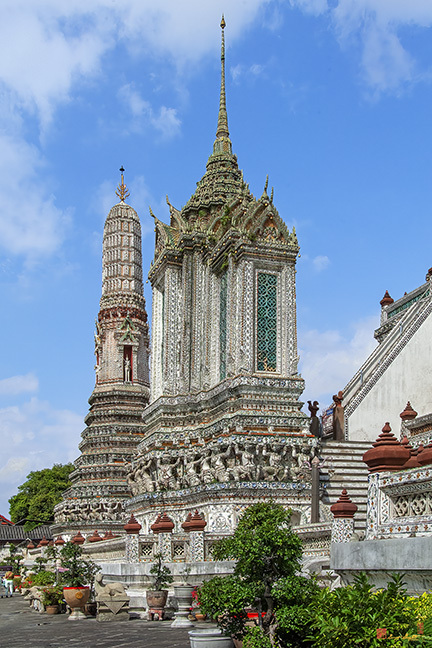 At one time, the temple held the Emerald Buddha and Phra Bang which were brought from Vientiane during the reign of King Rama I. 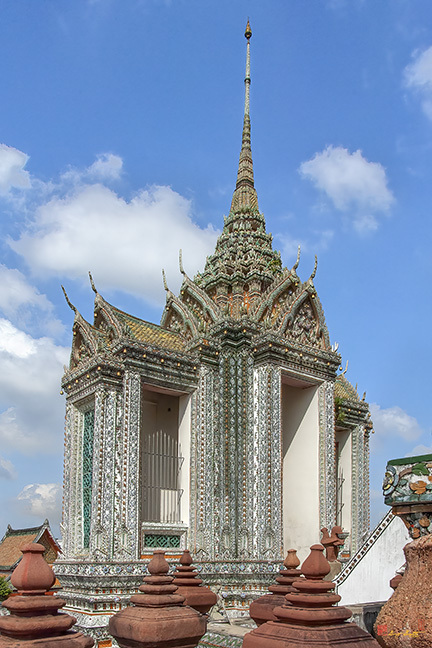 When the capital and the royal palace were moved to Bangkok, the palace wall was taken down. 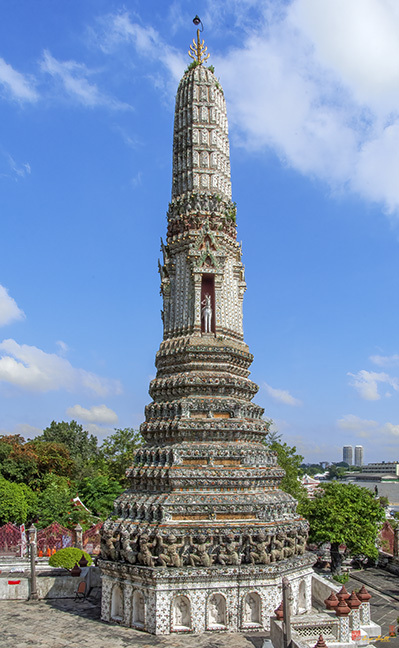 Thus Wat Chaeng was no longer the royal temple in the palace and monks were allowed to reside there. 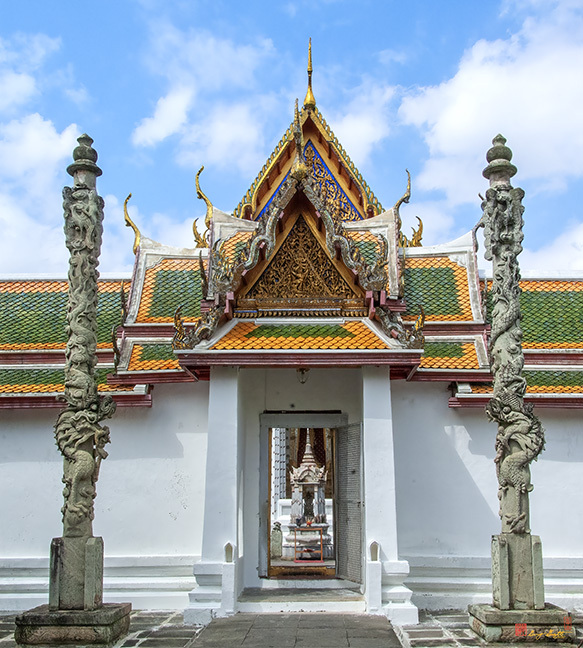 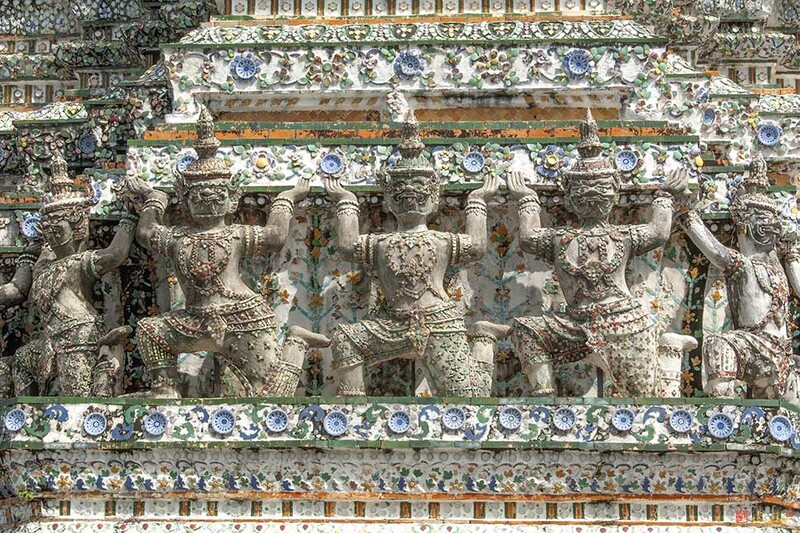 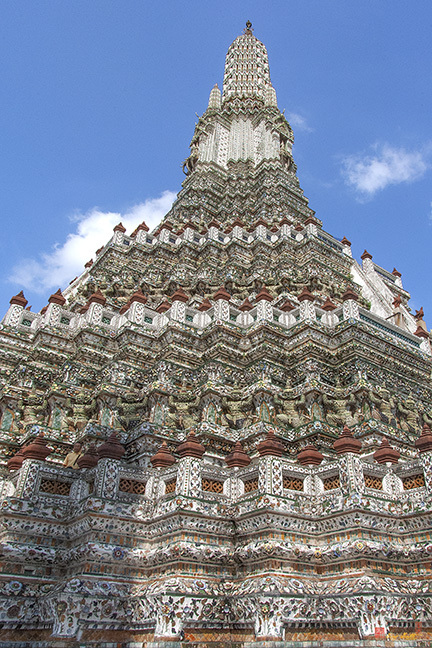 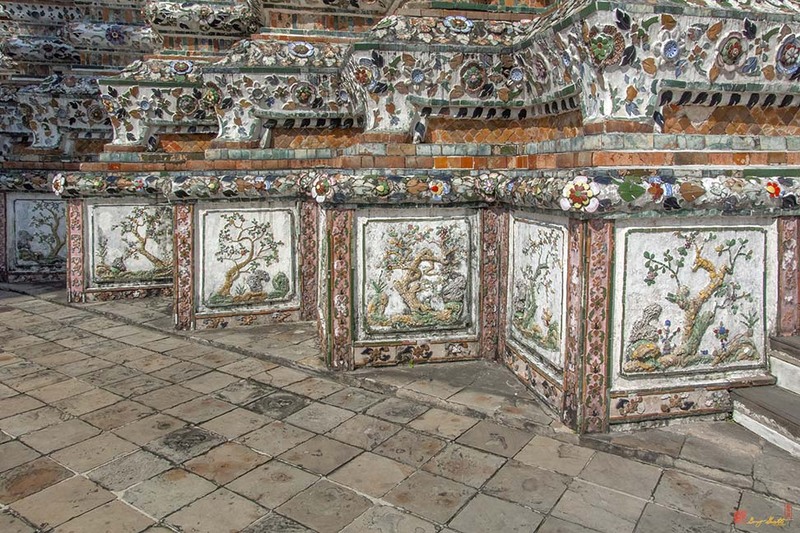 Renovation of the temple continued during the reign of King Rama II who changed the name to Wat Arun Ratchatharam. 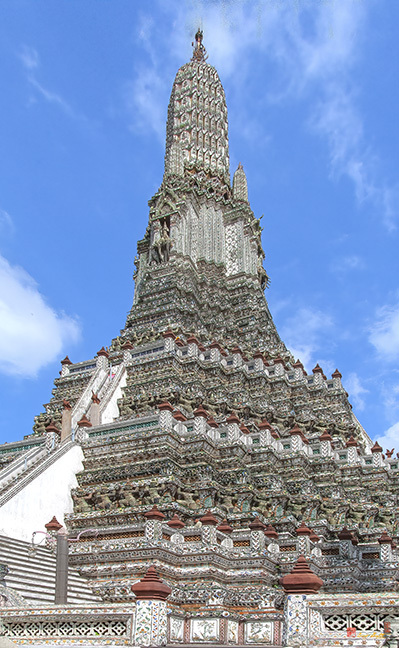 It was again renovated by King Rama IV who renamed it Wat Arun Ratchawararam.